Move from Project Failure to successful delivery! We have been working on this Project for you all,and we hope you love it as much as we do! 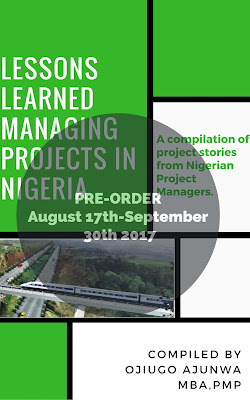 Lessons Learned managing Nigerian Projects is a compilation of Project Stories from over 40+ Project Managers in Nigeria it promises to deliver value that can't be taught in a Classroom as our values,environment and Organizational cultures are very unique. 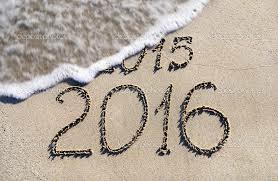 Join us to change the narrative of abandoned and failed Projects in Nigeria which is costing us Billions of Naira. This eBook Project idea started in 2010 and took our team three years of research, interviews, surveys, data analysis, and writing. 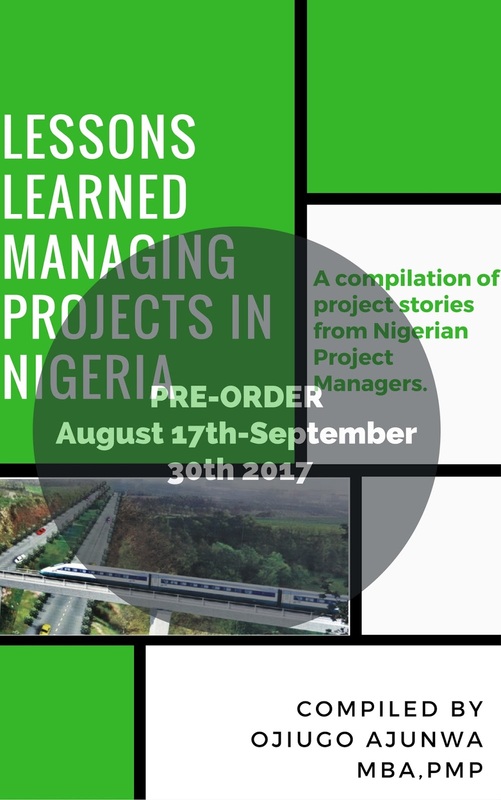 We have also gone on to analyze reasons Projects fail in Nigeria and how to overcome the pitfalls. It is BY FAR the best project we have done so far because of the huge impact it will have on the Project Management Industry. We will be having a Virtual Launch on the 26th of October 2017 to showcase the work to the world. Account Name: Ritetrac Consulting Nigeria Ltd.
All Pre-ordered eBooks will be delivered to their owners between the 1st-2nd Week of October 2017. Exciting days are ahead for Nigeria!